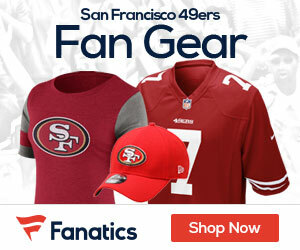 Matt Maiocco of CSNBayarea.com reports 49ers defensive end Justin Smith was fined $15,000 for roughing Browns quarterback Colt McCoy on Sunday in the 49ers’ 20-10 victory, according to an NFL spokesman. Smith was fined for striking McCoy in the “head and neck area.” The hit also drew a 15-yard penalty in the fourth quarter. 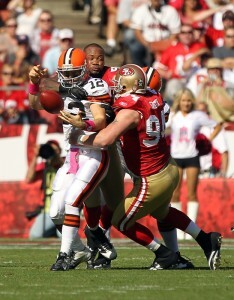 Be the first to comment on "Justin Smith fined $15K for hit on Colt McCoy"